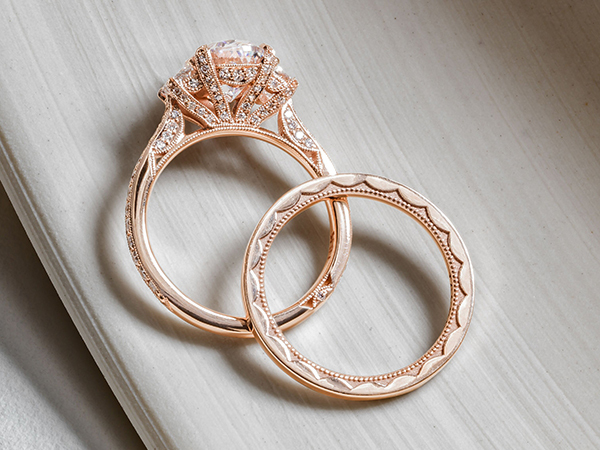 Ah, la vie en rose! 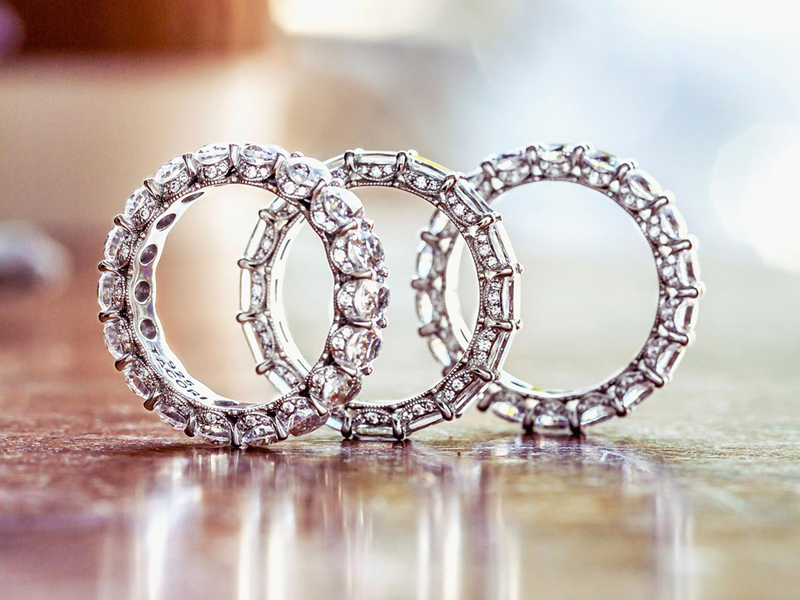 The quintessential French phrase, popularized by Edith Piaf's love song, with its lyrics expressing the joy of finding true love. 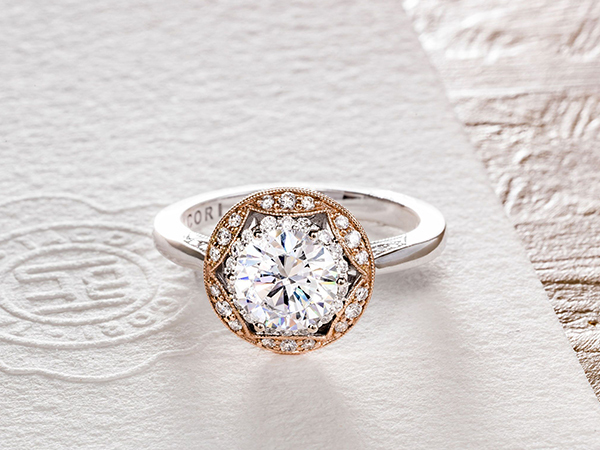 If you’re a romantic at heart (and aren’t we all? 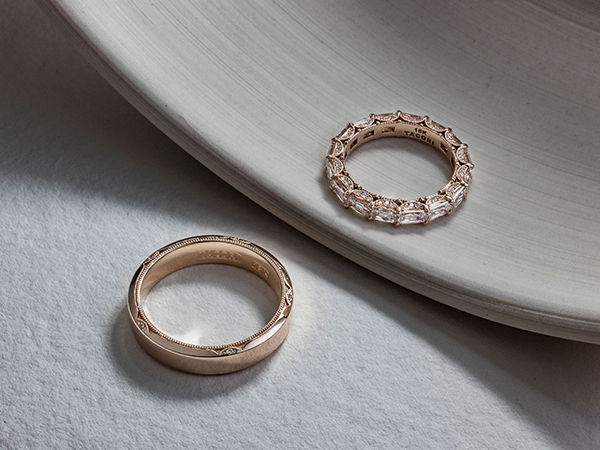 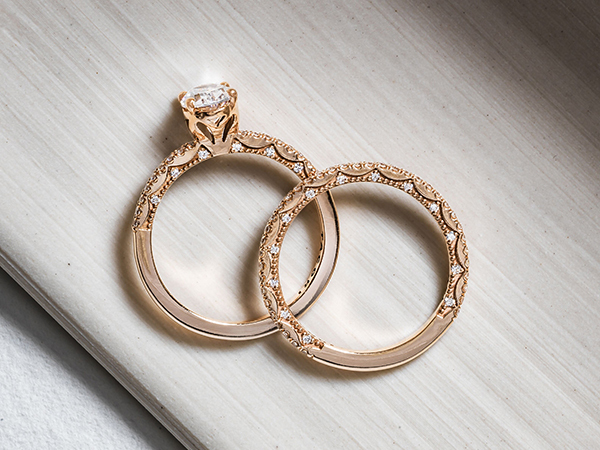 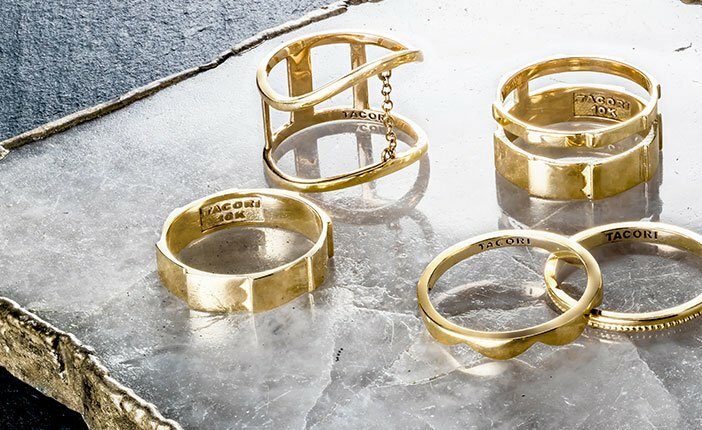 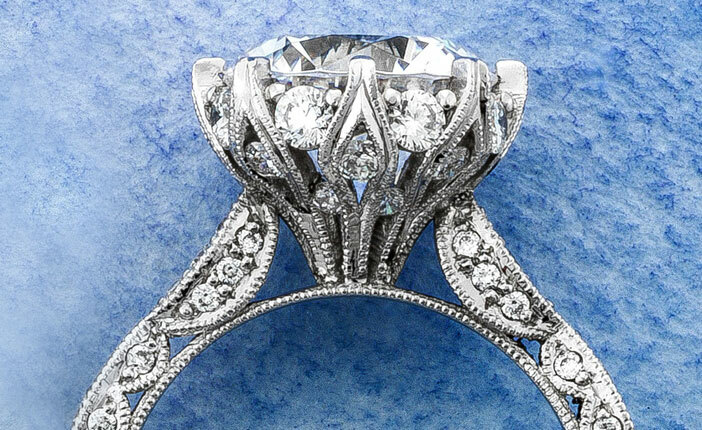 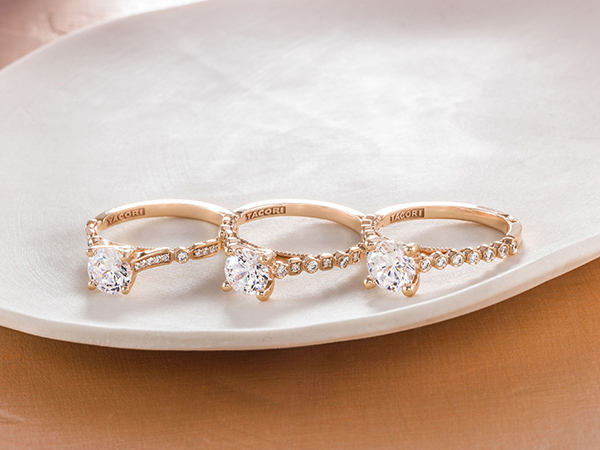 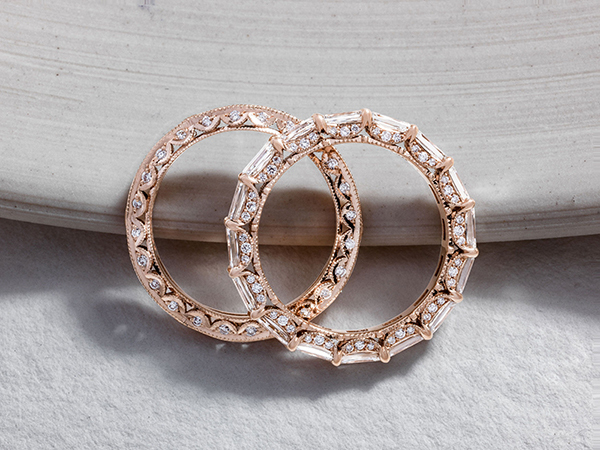 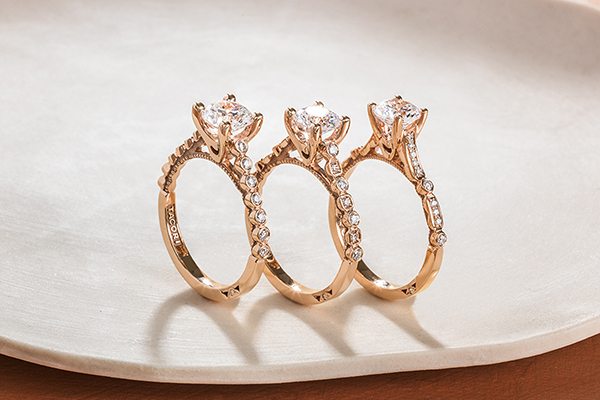 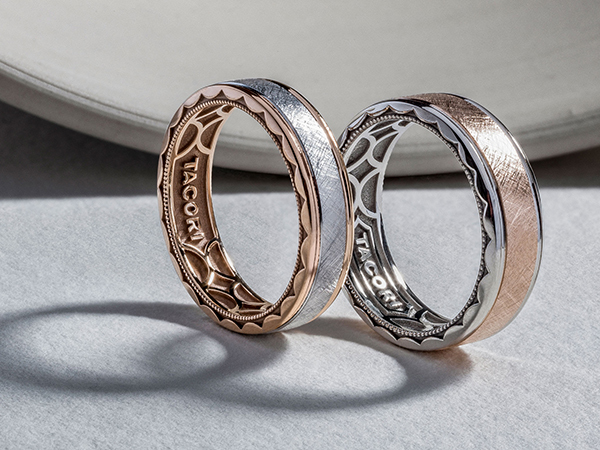 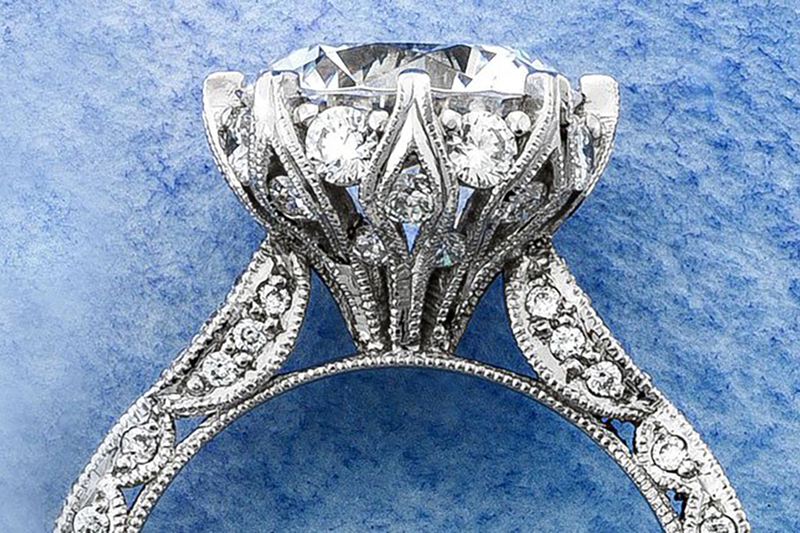 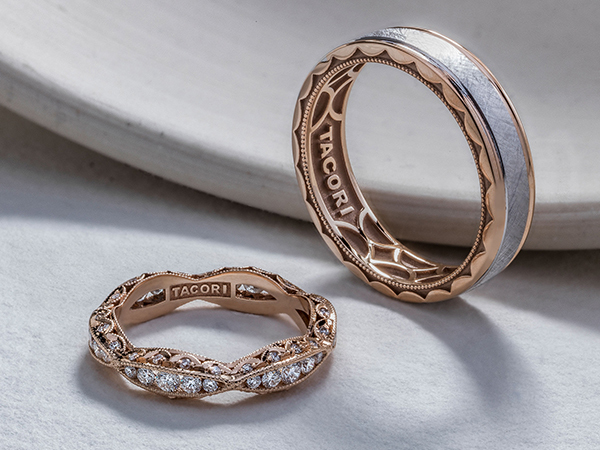 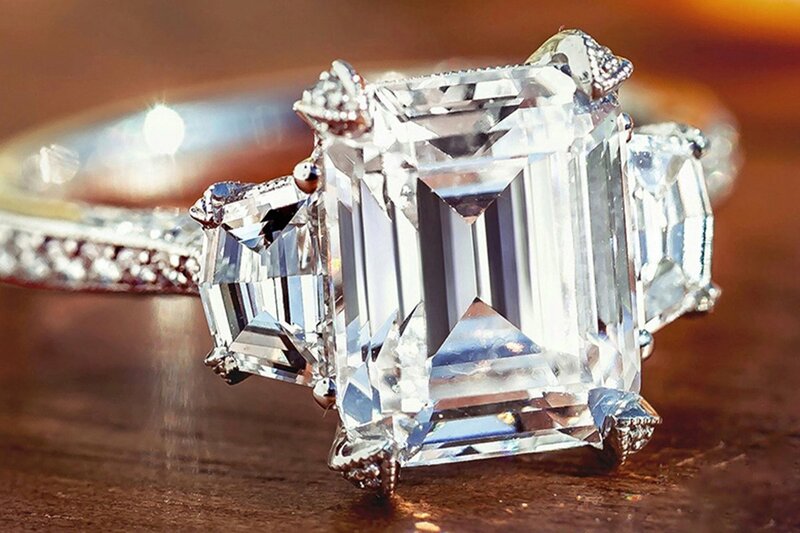 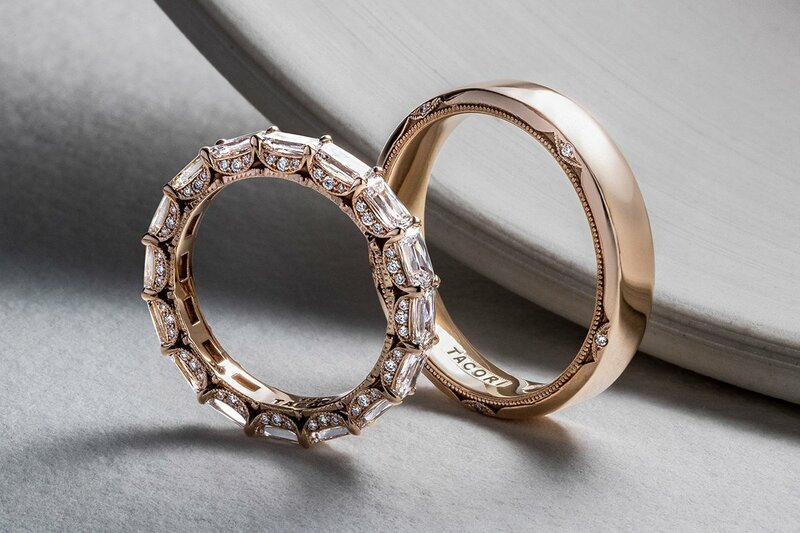 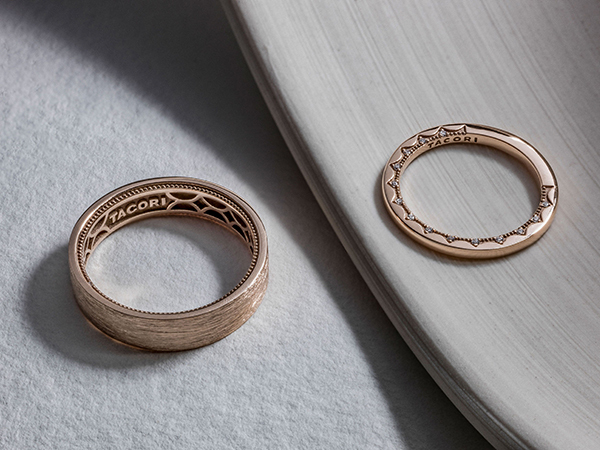 ), what better way to capture “la vie en rose”, than with rose gold wedding rings from Tacori? 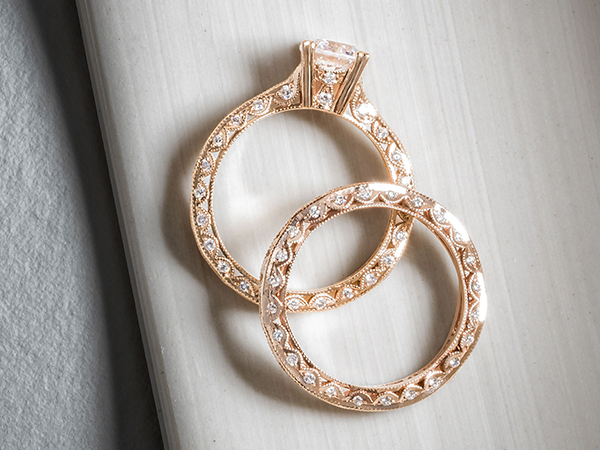 Here are a few of our favorite rose gold rings that have us seeing life in pink.